Morten is one of the artists who have contributed to a new 25th anniversary box set of Bendik Hofseth‘s 1991 album ‘IX’. Bendik Hofseth is an acclaimed saxophone player, who has played in Mike Mainieri’s jazz fusion group Steps Ahead and appeared on more than 100 albums in Norway and abroad. He has also released 10 solo albums. In 1995 Hofseth played saxophone on Morten’s album ‘Wild Seed’. 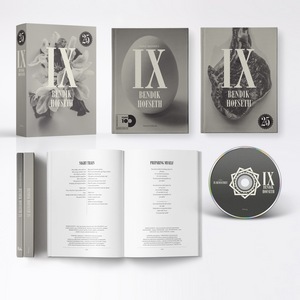 In addition to the original album remastered, the 3CD/1DVD ‘IX’ box set will also include a tribute CD with the whole album reinterpreted by Norwegian artists, among them Nils Petter Molvær, Silje Nergaard, Knut Reiersrud and Jarle Bernhoft. 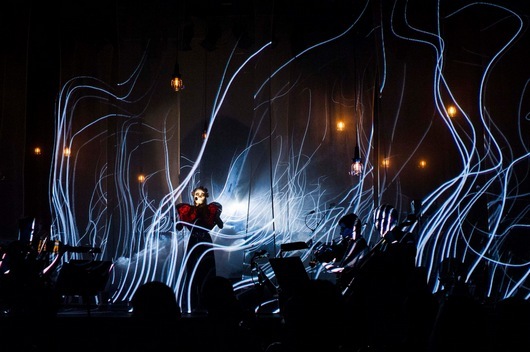 Morten’s track is called “The Boy From Port Manteau”, and is a collaboration with saxophone player Håkon Kornstad and Norwegian producer Peder Kjellsby. A sample of the track can be heard on Soundcloud. This is the first time Morten has participated on a tribute album. The exclusive box set, which will only be available as 500 numbered copies, can now be pre-ordered from newjelly.com. If you’re outside Norway, choose the €75 option which includes worldwide shipping.